The Giving Tree – An Attitude of Gratitude in Preschool! 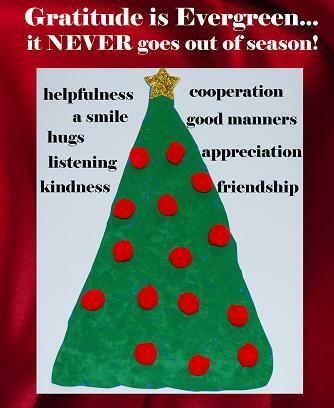 ‘Tis the season of gift giving, thankfulness, extra kindnesses, and appreciation for others. 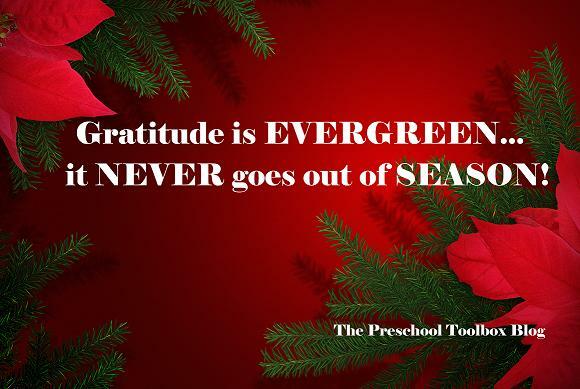 Helping preschoolers develop an “attitude of gratitude” begins early and at home. When adults MODEL (MODEL, MODEL) expressions of thankfulness and gratitude, children will naturally absorb and try to imitate all that they see and hear. Gratitude, when incorporated early, then becomes a natural DAILY expression. Disclosure: This post and others within this blog contain affiliate links. For full disclosures, see the ABOUT page. 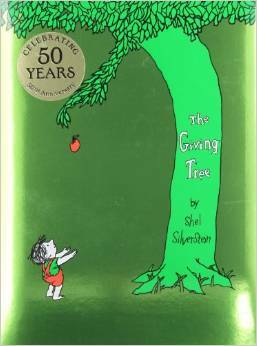 We read The Giving Tree by Shel Silverstein with our preschoolers during the holidays and again in the spring as we near the end of our school year. We discuss, model, and ACTIVELY PRACTICE gratitude in our classroom each and every day of the year. Read the book to your children, but leave the book’s interpretations open for the children to discuss. You’ll find amazing insights from children as they give their own views on the tree who loved the little boy! How did the boy treat the tree? How did the tree show LOVE for the boy? How do you think the tree felt as she gave almost ALL that she had? Do you think the boy was grateful to the tree? How do you think the boy felt at the end of the story when he was a old man? Why do you think the tree GAVE almost all that she had to the boy/man? Do you think the boy/old man changed his heart at the end of the story? By asking questions, the children will begin to formulate their own ideas about thankfulness, giving, gratitude and how we should treat others. It’s a powerful book to read and discuss with young kids. I’ve shared the book with our own kids for over 26 years and am still inspired by the pure love, kindness, and wisdom of preschoolers. 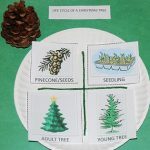 The Giving Tree: Gratitude Evergreen Tree Craft for Preschool! One of my favorite quotes from a student many years ago: “I don’t have any money or gifts to give because I’m just a KID; my Mom and Dad do that!” 🙂 Gratitude, Giving, and Thankfulness require our hearts! Brainstorm with the children things they already have that they can GIVE to another to express gratitude (friendship, hugs, a smile, cooperation, support, good manners, helpfulness, etc.). 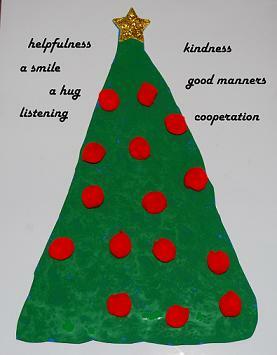 Make a gratitude evergreen tree this holiday season to encourage daily acts of gratitude from the whole family! 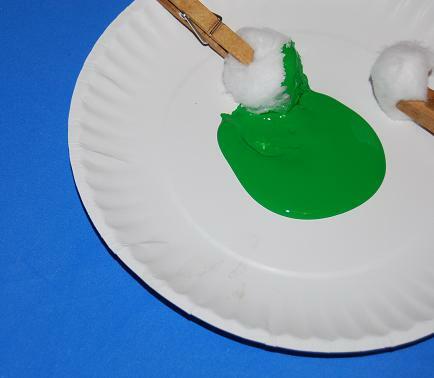 Have the children clip the cotton ball with the clothespin to use as a painting tool. Set out paint trays and paper. Invite the children to paint the paper with the cotton ball clip. Allow the painted trees to dry thoroughly before cutting the paintings into Christmas Tree shapes. 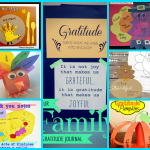 The children can then add the sticker stars and the gratitude labels (linked above). Set out a jar of red pompoms – each time you see a child showing gratitude, being thankful, or giving to another, have them place a red pompom on the tree (tip – poster putty works great for sticking the pompoms on the tree). Soon the gratitude tree will be filled with red pompom “ornaments” as a visual for the children of things they can (and DO) give daily! You might also like: 28 Ways to Encourage ACTIVE PARTICIPATION in Gratitude and Thanksgiving! To incorporate science into your activities, see LIFE CYCLE of a CHRISTMAS TREE – just as gratitude goes on and on, so does the circle of life. I love the idea of brainstorming what the kids can give! Devany – thanks so much for visiting and your comment! What a neat activity and I love tie-in to The Giving Tree.